The holiday season is looming and the busiest time for a working metalsmith. These past few weeks have been filled with sawing, soldering, forging and guilding. I was contemplating today, how lucky I am to be able to play out different moods with my work. Sometimes I like bright and modern, other times cool and minimalistic. This past week brought out the moody, mysterious work once again and how satisfying it was to revisit these elements that are rough and textured, yet refined with a delicious touch of decadent gold to bring out the light from the shadows. How lucky am I? All of this work and then some, is heading to Artina’s in Victoria and also Metalworks Metalworks Goldsmithing here in Kingston. Here are some of the new pieces that emerged from the previous etching. I am very happy with the results. Every experiment does not work out as one hopes and I have a large scrap pile to prove it! I think I will continue with this line for a long time to come. 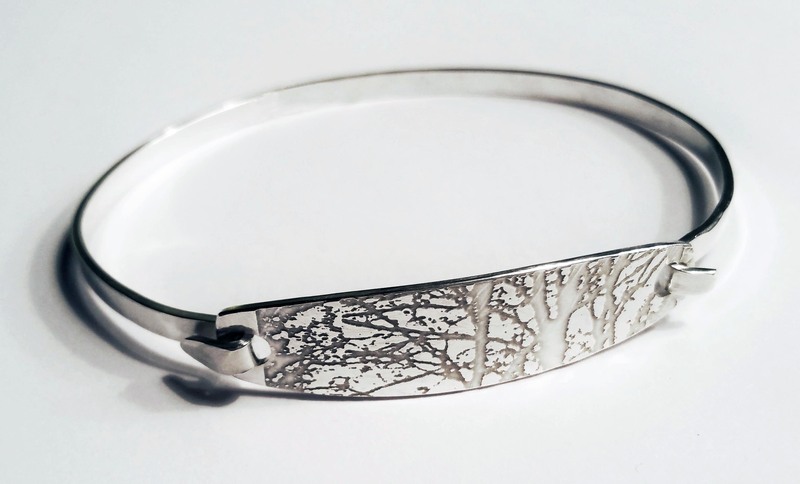 The etch on this bracelet and earrings is from a picture I took of some trees. I love how the image translates to the silver. Captured in time. I am back in the blog writing business and hope to stay for awhile this time. For the past few years I have been happily honing my skills and trying to be a much better metalsmith. 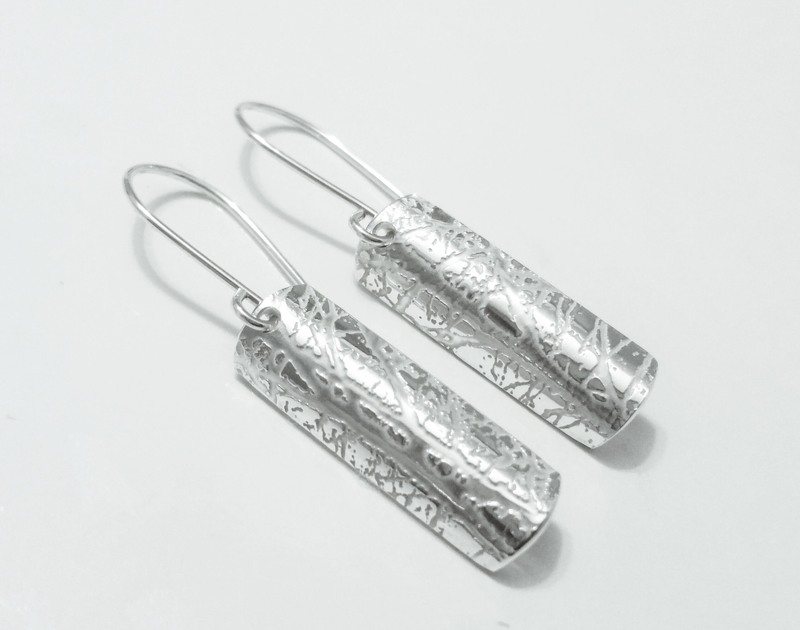 Here, on this blog, I will be updating you with my new work and where to find it, upcoming shows and events and just a little peek into the ultra-glamorous life of a jewellery maker. Recently, I have created a new line of fingerprint jewellery. It has been very well received and I hope to promote it more. Included in the collection is a variety of wedding rings, pendants and bracelets. Each piece is custom and very personal. I hope you join me on this artful journey and comment wherever you like. I want this blog to be as interactive as possible with lots of discussion, questions and hopefully a few answers as well!